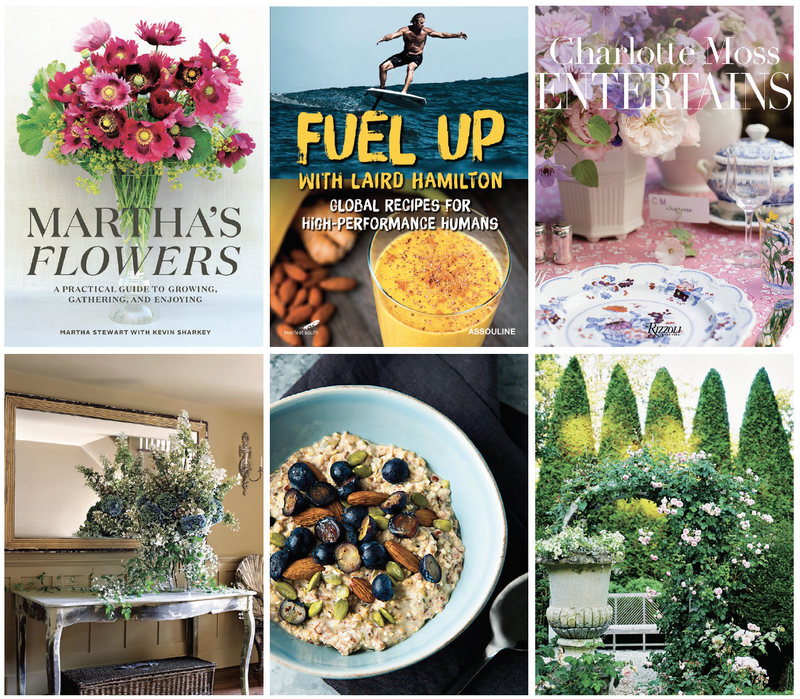 The new releases you need on your coffee table this summer... with pages filled with Hamptons flair. If you’ve ever caught a glimpse of Lily Pond, Martha Stewart’s roseladen garden in East Hampton, you’ve already peeked into the wonderful world of Martha’s Flowers ($45, Penguin Random House), a new book from the lifestyle icon. Instilled with a passion for gardening at a young age, Stewart provides an essential seasonal guide to gardening, gathering and arranging in her latest tome. Her East Hampton home (pictured above with an extravagant display of hydrangeas) serves as the setting for many of the beautiful pages. From the shores of the Hamptons all the way to the Gold Coast of Australia, surf legend Laird Hamilton has spent his life on the world’s most superb beaches, eating the freshest local food along the way. Diving into his travel diaries and food philosophies, he releases his first cookbook, Fuel Up With Laird Hamilton ($50, Assouline), a collection of over 50 uncommon global recipes, including Ditch Plains green pancakes with onions, chili and spinach—a nod to Montauk and its rich surf culture. Few have mastered the art of the party like Charlotte Moss. Through decades of experience, Moss has established a reputation as the hostess with the mostess, lending her creative hand to affairs across the Hamptons and beyond. In her 10th book, Charlotte Moss Entertains ($50, Rizzoli), the design ace invites readers to her most smashing soirees, sharing tried-and-true entertaining tips along the way. Don’t miss the chapter about her kaleidoscopic “Caftan Caucus” in East Hampton—total party envy.